Let's not try and spin this. It isn't that "some" freelancers were not aware of it. 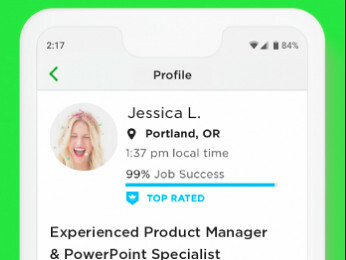 And, of course, the reason we were not aware of it is that Upwork staff repeatedly (and, they now tell us, falsely) assured us that clients saw every proposal. I really appreciate the outcome (although realistically once the cat was out of the bag that was the only possible outcome eventually) but trust has been lost. Potentially, more than trust has been lost. 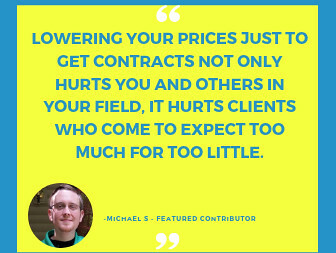 Freelancers who purchase connects have likely suffered financial losses as well. It's great that the practice has been suspended (we're told), but that doesn't really clean up the potential liability for the initial misrepresentations and the harm already done. I really appreciate the outcome (although realistically once the cat was out of the bag that was the only possible outcome eventually) but trust has been lost. For Upwork to actually have done this in the first place, and for Upwork actually not seeing anything wrong with it (!!!!!) means that Upwork has lost a lot of trust points, at least for me. I am, to be honest, deeply disappointed. Not with the outcome of this thread, but with the fact that it happened in the first place. I'm pleased (and surprised) with the outcome as well, but for me it's too little too late. Upwork had the perfect opportunity to address our concerns and respond appropriately, but they gave us Steve's reply instead. And what about all the follow-up issues that others have raised in this thread, not to mention all the continuing site problems that have been brought up in the forums? 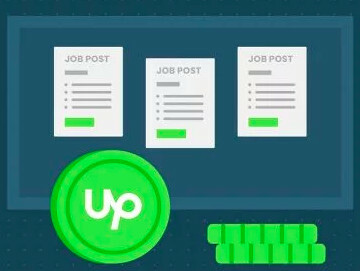 The trust is gone, and it's only a matter of time before some other "little" secret is revealed or before Upwork announces another awful "feature." The site is no longer what it was, and it would be extremely foolish -- like I've been -- to focus on it exclusively. I'm not pretending it's easy to find work off the site, but it will be worth not having to deal with messes and disappointments like this! "I really appreciate the outcome (although realistically once the cat was out of the bag that was the only possible outcome eventually) but trust has been lost. For Upwork to actually have done this in the first place, and for Upwork actually not seeing anything wrong with it (!!!!!) means that Upwork has lost a lot of trust points, at least for me. I am, to be honest, deeply disappointed. Not with the outcome of this thread, but with the fact that it happened in the first place." What it comes down to is we have all lost any semblance of trust and trust is any site's most valuable commodity. more than time just time,money,creative juices and effort. its just down right hurtful. I am happy they say that the issue is fixed but how can I forget this? In situations where a client has not archived a proposal, and with the TSs are no longer archiving proposals, can Upwork please confirm that there is NO WAY for proposals to end up in the archived folder? "What it comes down to is we have all lost any semblance of trust and trust is any site's most valuable commodity"
Yes, and on top of that going forward, it's going to be very hard to believe what is told to us in the forums, by people (not naming titles) who are asked by Upwork higher-ups to offer lies and/or half-truths in answer to our questions. Of course, considering this fiasco ... perhaps they were lied to as well. 1) Is Upwork going to address the question of paid-for connects on bids that were trashed? 2) Is Upwork planning to improve the talent specialist experience? It's telling that these two questions haven't been answered. Despite the so-called conclusion to this fiasco, many of us would still like more clarity. I'm guessing the paid-for connects thing is a can of worms Upwork is afraid (or doesn't want) to open.